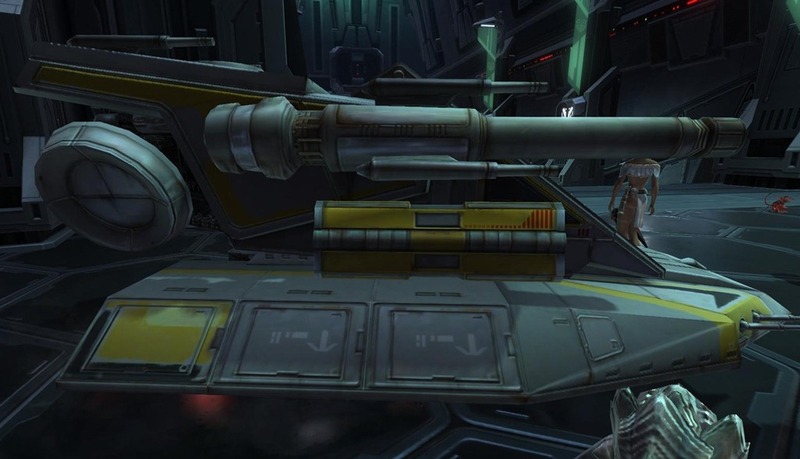 SWTOR Nightmare Explosive Conflict Loot table for Patch 1.5. 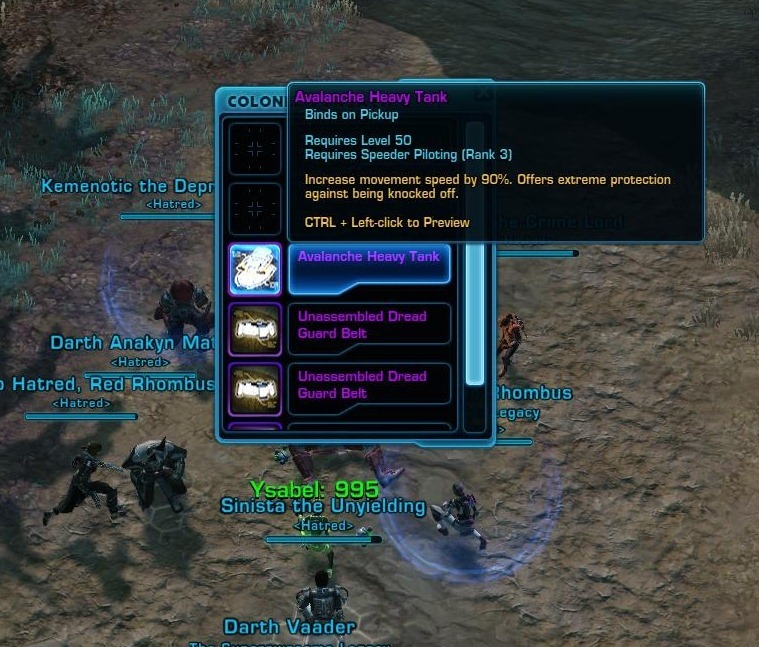 Please submit any loot drops that are missing and/or inaccurate on the list! The loot information are for 8m, for 16m just double the amount for everything except the mount. NOTE: This loot list only covers Nightmare EC, see this list for all operations. Thanks to Andi and Tempest (Prophecy of the Five) for the screenshots! haha nice mount! does the player’s head pop out? would be cooler if it shot lasers! Ehm …….. you do know that this list is a work in progress? Not every drop is noted down yet. 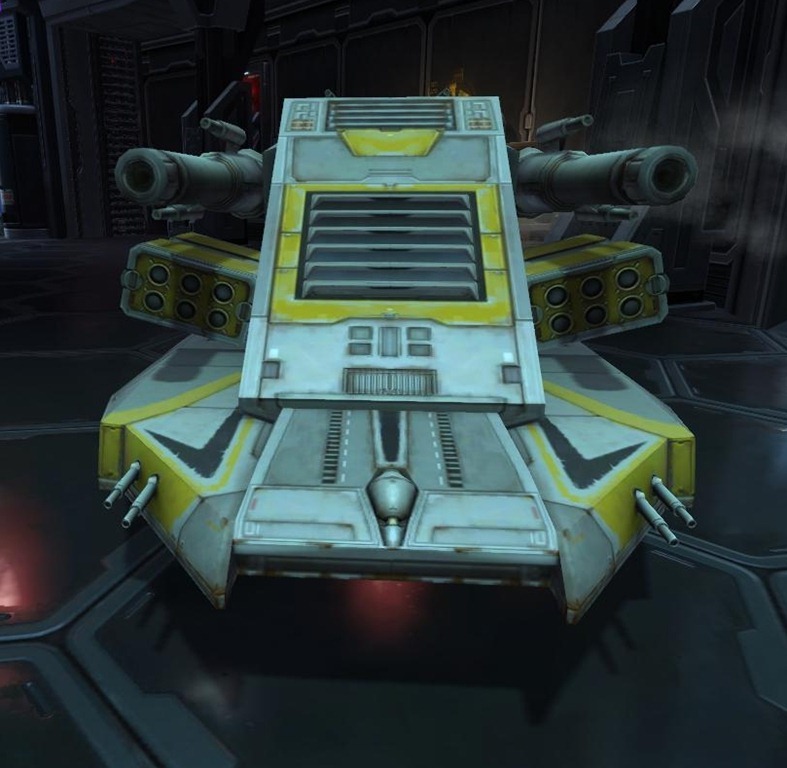 We got the tank mount to drop off of Zorn and Toth last night… I imagine it’s got a random chance to drop off any boss in EC NiM. About that, hows the progression of 16 man going Dulfy ? No one on Jedi Covenant has finished it 16-man yet, to my knowledge. Was wondering how your server is doing with it ? On Harbinge, we had two 16m guilds, one on Empire (my old guild) and one on the Pub side. My old guild reformed into an 8m guild as the leader is quitting so I don’t think anyone is even close to finishing 16m on Harbinger. Currently I am in a 8m guild that has cleared Nightmare EC once but still struggle to kill him a 2nd time. Wondering if you could get more then 1 tank mount within the same raid ! 🙂 I guess well find out soon enough. Awesome to hear that ! For both 1.6 and the list greatly appreciate it we’ll put it to great use that’s for sure. on a side note the tank mount is called “Avalanche Heavy Tank ” You do a great job keeping us updated on the latest news. 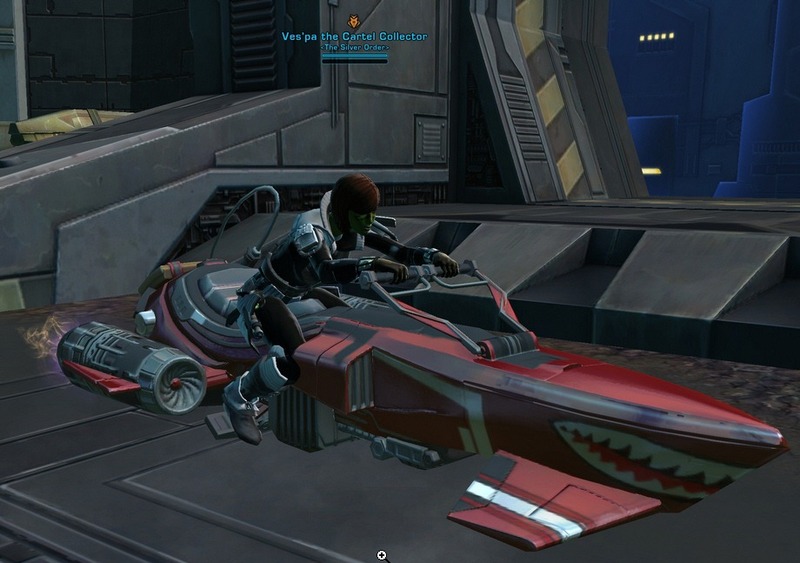 Just saw the first person on my server to get the Praxon Firaxa last night ( Jedi Covenant ). It looks cool up close. I personally still like the bloodline and the tank mount better but if I win the roll on it, I’m def gonna use it. – It isn’t 90% speed anymore. 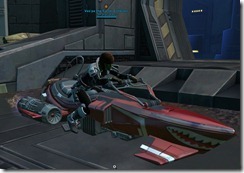 It now depends on what your current speeder piloting level is. – “Grants extreme protection”. You can still be knocked off. Does the mount drop more than once per raid?